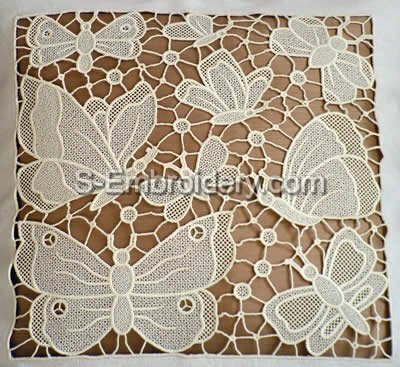 This freestanding lace machine embroidery decoration consists of 8 FS lace butterfly embroidery designs. 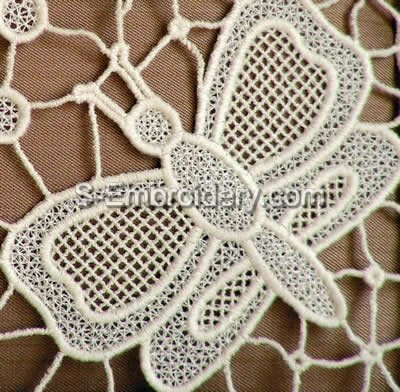 The parts are combined together to produce a lace square approximately 30 x 30 cm (11.5 x 11.5 inches). 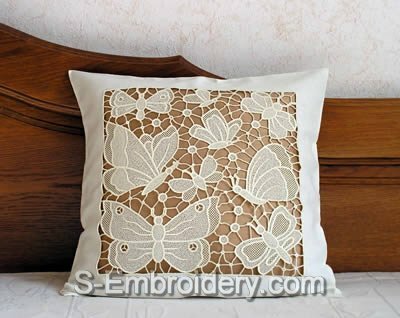 You receive 8 machine embroidery files in one of the supported formats as well as design information and instructions for creating the FS Lace decorated pillow case, featured on our web site.